The oldest mulberry in London? Did any of these illustrious early residents plant the mulberry tree? 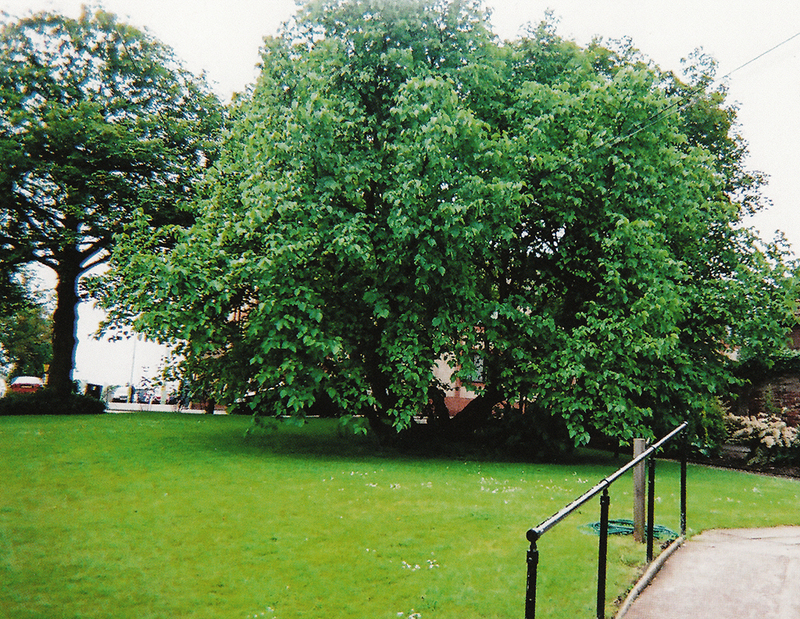 If so, it could be anywhere between 400 and 500 years old, placing it in the ranks of the oldest surviving mulberries anywhere in England – and certainly the oldest within walking distance of the City. There are very old mulberries in the ancient orchard at Syon House, which are also thought to be 16th or at least 17th century. Old mulberries were noted there in 1548 by William Turner, the botanist and apothecary to Lord Somerset who inherited the Bridgettine monastery after the Dissolution and built a house there. But, although well inside the M25, Syon House is in Brentford, 13 miles away from the City. 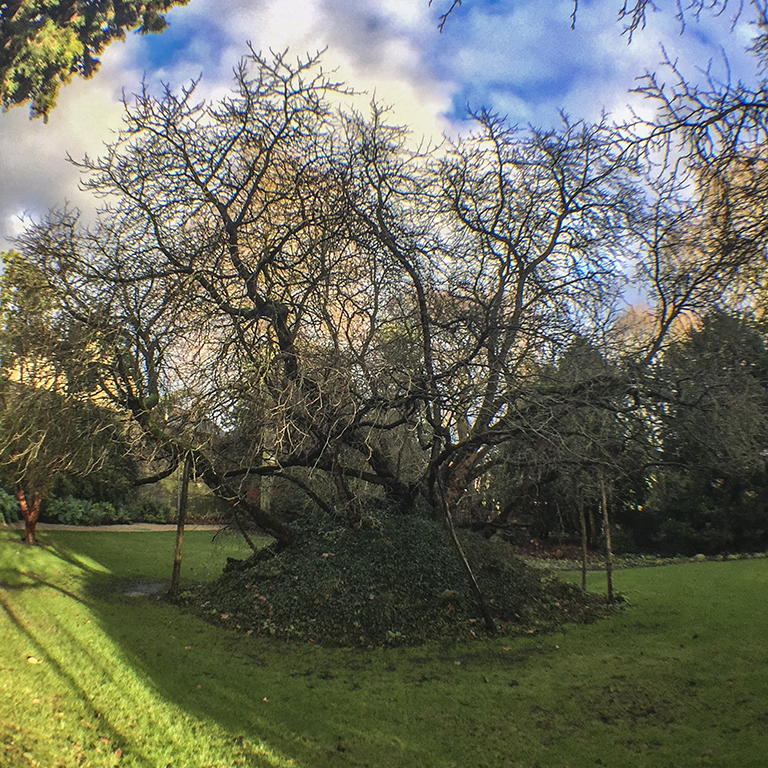 Meanwhile, another very old mulberry at Charlton House, which is thought to date from 1611, is 7 miles from the City. There is a black mulberry at Hatfield House that was possibly planted by John Tradescant when he was Head Gardener from 1610-15, but may well pre-date him by fifty years, as it has also been attributed to Princess Elizabeth, when she lived there before becoming queen . The Hatfield mulberry, though has been pollarded and, while hollow, is squat and not leaning or lying down. Meanwhile, Christ’s College, Cambridge has records of purchasing and planting black mulberry trees in 1608. 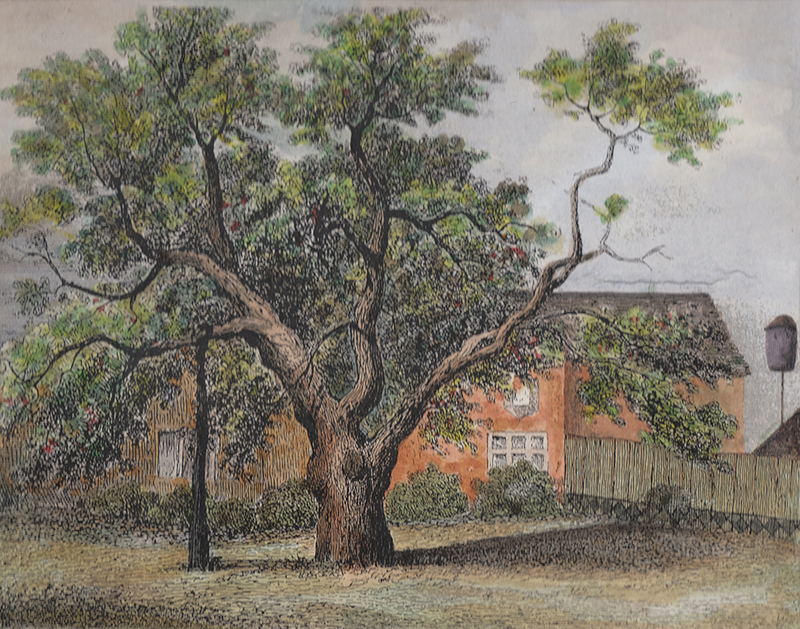 One of these – the celebrated ‘Milton mulberry’ – survives on a mound in the Fellow’s Garden and shares several features with the Canonbury tree. There is, then, every possibility that the Canonbury mulberry is very old – the walled garden where the tree stands features in old plans of the Manor. Prior Bolton seems to have been familiar with mulberries and may have planted one or more at St Bartholomew’s Priory, which he rebuilt. 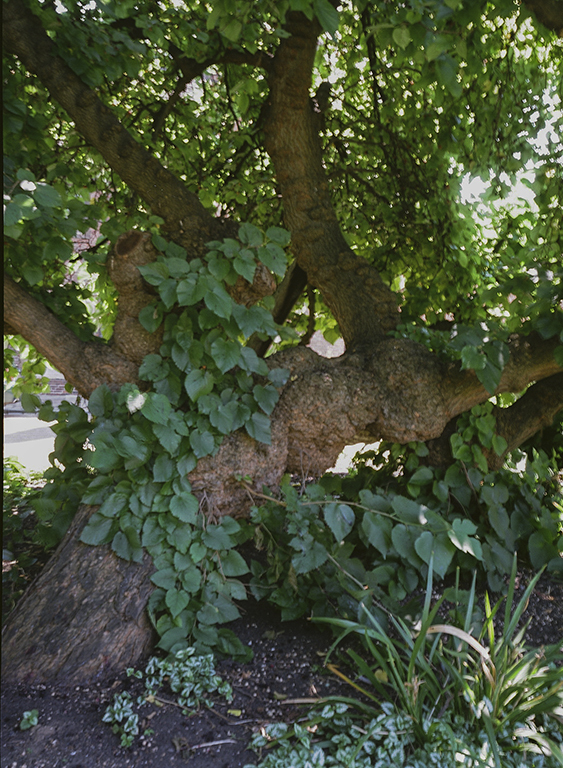 There are records of a very old mulberry tree still surviving in the 19th century, adjacent to St Bartholomew-the-Great (with remains of the Priory) and some evidence for a mulberry garden next to the Infirmary. There is a fine mulberry tree there today, although not more than 100 years old, but it does symbolise the ancient connection. Another possibility is that Francis Bacon planted the Canonbury mulberry. Bacon was a cousin of Robert Cecil, son of William Cecil, the powerful Lord Burghley in the reign of Elizabeth I. Robert was responsible for rebuilding the Tudor Hatfield House and gardens in the Jacobean style. 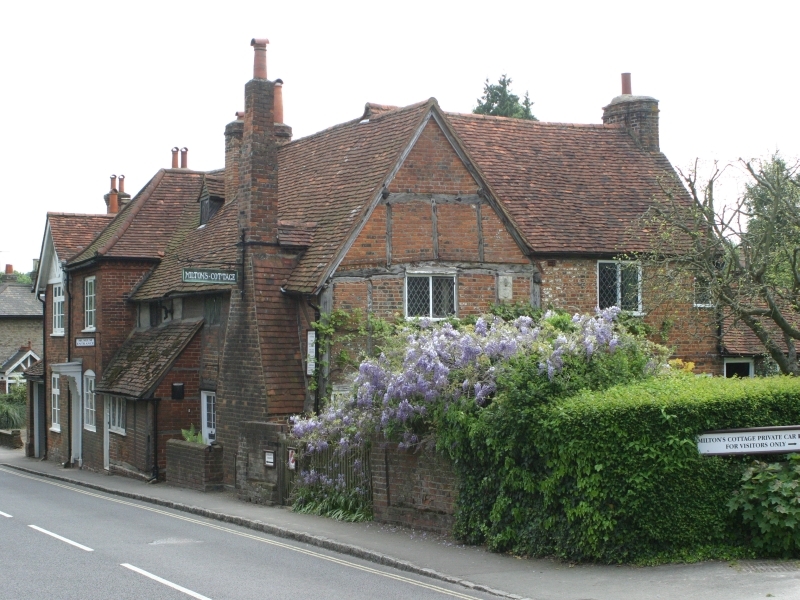 James I had persuaded Robert to accept the Old Palace and manor at Hatfield in exchange for the splendid Theobalds, which Robert had inherited from his father. 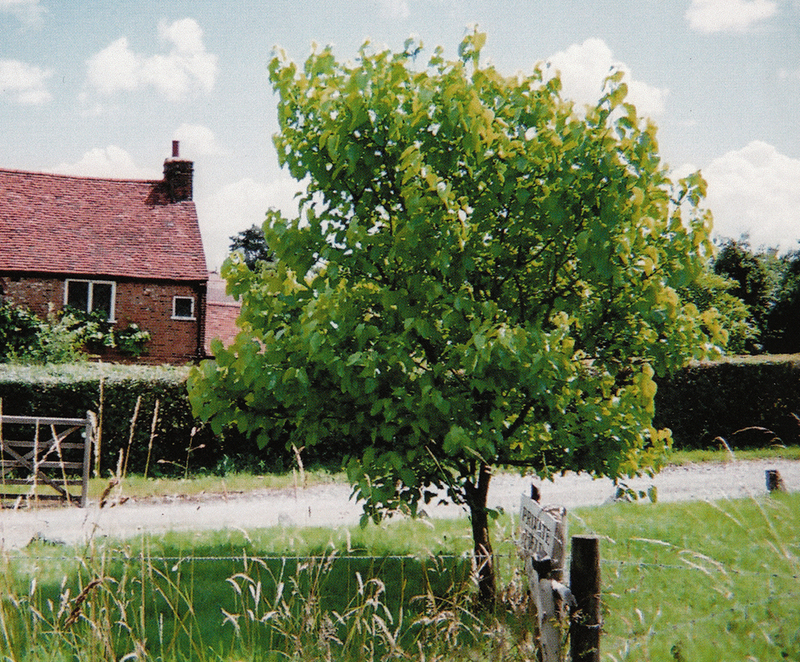 We know that around 1611 Robert sent his gardener, John Tradescant, abroad to bring back mulberry saplings. 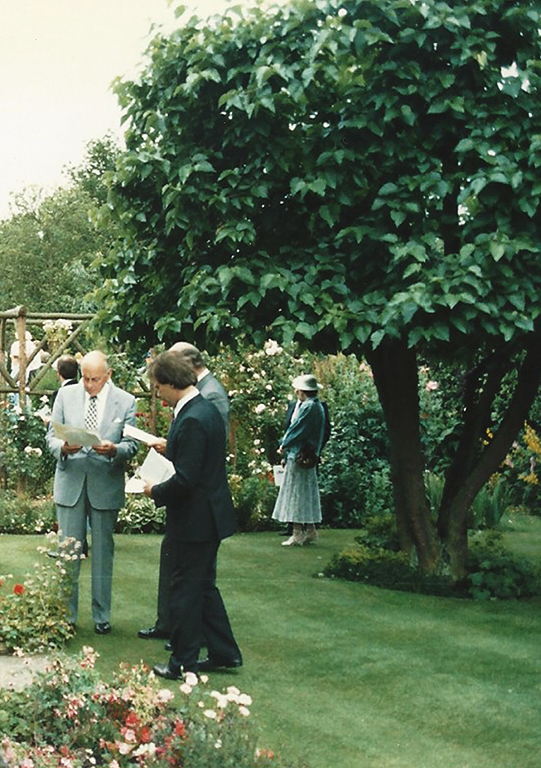 He apparently planted around 500 at Hatfield, as part of James’s sericulture project, though only one survives today – and that is a corner feature of the Tudor knot garden, not apparently a vestige of a plantation. 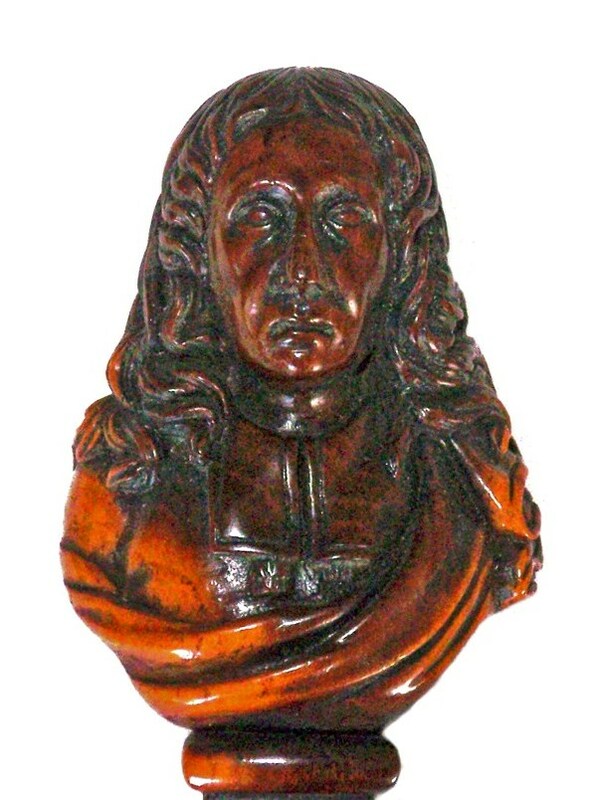 Robert Cecil and Bacon were not exactly on friendly terms, but Tradescant may have had a mulberry going spare for Bacon to plant at Canonbury – if there wasn’t one there already…. Thanks to Nicola and Gavin Ralston for inviting me to look at the tree. Nicola is writing her own account of the tree for the Canonbury Society, due out in March-April 2018. Morus nigra at London College of Fashion, now over 100 years old. Last week I finally got to see the black mulberry I’d heard about from several people, located behind the London College of Fashion in Lime Grove, Shepherd’s Bush. The College is opposite what was he BBC’s Lime Grove studios for years until they were demolished and replaced with housing. Pablo, the Spanish gardener for LCF, took me into the courtyard at the back of the main building and proudly showed me the 12 metre high black mulberry, leaning at a slight angle. It produced masses of fruit every year. From archive photos it looks as though it was planted in about 1904, as a sapling, — perhaps already 10 years old at the time. The mulberry in 1915, eleven years after the London School of Building opened in 1904. Pablo told me he had succeeded in growing a mulberry sapling from seed – the only one that germinated from the 25 he planted. After showing it to me, and admitting that he didn’t have the space to grow it himself…. he gave it to me! So I am now the proud owner of a Morus nigra, about 3 years old! Thanks Pablo! 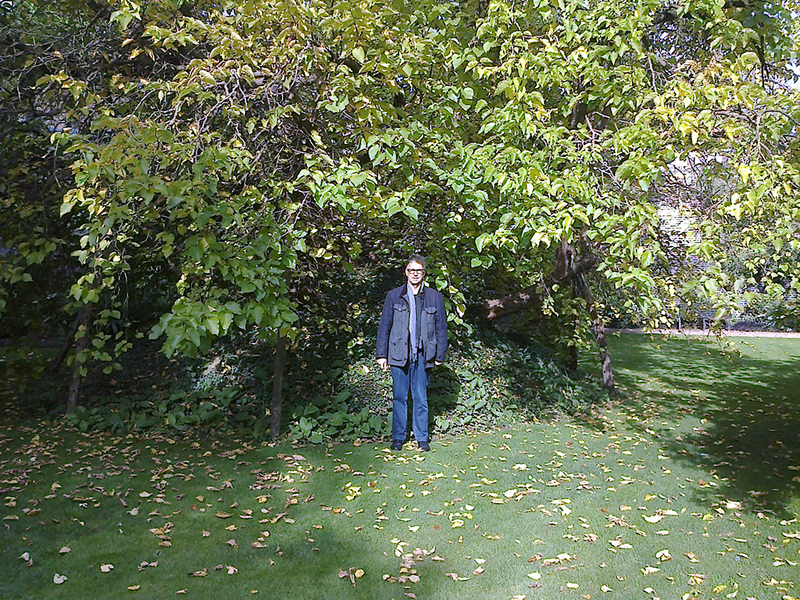 Pablo with the 3 year-old mulberry tree he has grown from seed from the tree at London College of Fashion. The 2016 Urban Photo Fest is kicking off this week. The Urban Memories exhibition will feature four of my photographs. There are only about 7000 native Black Poplars (Poplus nigra betulifolia) left in Britain, most of them south of The Wash (the bay where Norfolk meets Lincolnshire on the east coast of England). And only 600 of these are female. These females produce a cottony fluff when the seeds are ejected to be carried by the wind. As this can be a nuisance, local authorities and forestries have planted male trees. The result is that the native population has declined, rarely reproducing through seed and mostly by suckering and sending up new trunks if a tree falls over. Added to this, the draining of wetlands for development has meant that any fertile seed is unlikely to fall on the silty damp soil it needs to grow into a tree. The last blow to the native wild Black Poplar is that it easily hybridises with non-native species, like the Lombardy Poplar or the Cottonwood of North America. On Thursday evening this week I led a small group to find the Black Poplars along a stretch of the River Lea beside Hackney Marshes – a large, flat grass space that is laid out for football pitches, used for training. There are as many as 20 mature Black Poplars here, some along Homerton Road as street trees, the others on the river bank in a beautiful, natural setting. Walking by the river, with swans and cygnets, anglers and limpid fresh water, it is hard to remember that you are less than ten minutes’ walk from the hipster bars of Hackney Wick and what used to be (before the 2012 Olympics) an industrial area of North London. The only “downer” on our walk was when we approached a line of Traveller caravans in order to get to the footpath by the river and co-leader Andrew was bitten on the leg by a nasty little dog.